Best of the week: news and reviews 02.06.13 | What Hi-Fi? 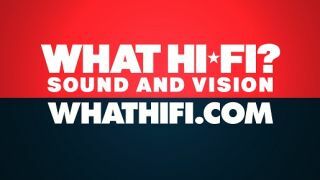 This week on whathifi.com we've found two more brilliant products to champion, in the form of a budget Panasonic Blu-ray player and a fairly affordable Pioneer all-in-one hi-fi system. There were more new product reviews in the shape of a clever JBL plug-and-play Bluetooth speaker (no really, it's a plug), a Panasonic soundbar and a Pro-ject phono stage. News this week came in the shape of some retro-looking high-end hi-fi from Yamaha, a new iPod Touch, a master-of-all-trades Pure radio, more on the Xbox One... and plenty more besides. Read on. If you want a radio for the bedroom or kitchen that does just about everything you might want it do: Pure's new Evoke F4 could be the answer. The company's radio heritage is hard to argue with and the new F4 looks the part and comes packing a whole heap of features and functions, at a tempting price. We got a sneak preview of the new Android app for YouView this week, and heard all about the next addition of streaming internet TV channels, in time for the BT Sport channels and next season's football, rugby and more. YouView also released sales figures for the first time, reporting 400,000 YouView homes. Fancy a brand new smartphone but don't want a super-size offering or to pay the earth? Then the Galaxy S4 Mini could be for you. Set to launch next month, the Mini version is smaller, lower-spec but more affordable. The S3 Mini was a bit of a flop but fingers crossed the S4 Mini could be more like it. Well, it's not like Apple to launch a new product without the fanfare but this week we got a new 16GB iPod Touch, yours for £199. The rear camera has gone but otherwise it's nigh-on identical and this 5th-gen iPod Touch replaces the 4th-gen models that were still on sale. Sony's eagerly-awaited flagship tablet for 2013 finally landed in our greasy palms this week and, to cut a long story short, it's Sony's best tablet yet. That of course doesn't mean it's the best tablet to buy - read the full Xperia Tablet Z review to find out if it's the one for you. The micro hi-fi system lives on, ever-popular in bedrooms and kitchens. This Pioneer system is a little more accomplished than the average one-box system, offering brilliant sound for a sensible price. As we said in our P1DAB review, "a great introduction to the world of hi-fi".